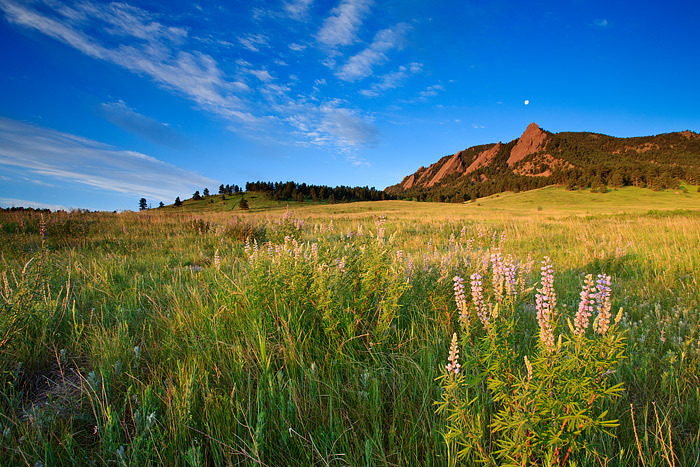 The Moon is viewed setting over the Flatiron formation in Boulder, Colorado. Silver Lupine grow in the meadow of the iconic Chautauqua Park on this beautiful plot of Open Space and Mountain Park's property. Photo © copyright by Thomas Mangan.